Judy Lew and Lee Dirks, who were on holiday in Peru celebrating their 15th wedding anniversary, died in a car accident on Tuesday, August 28 when their car slid off the road. 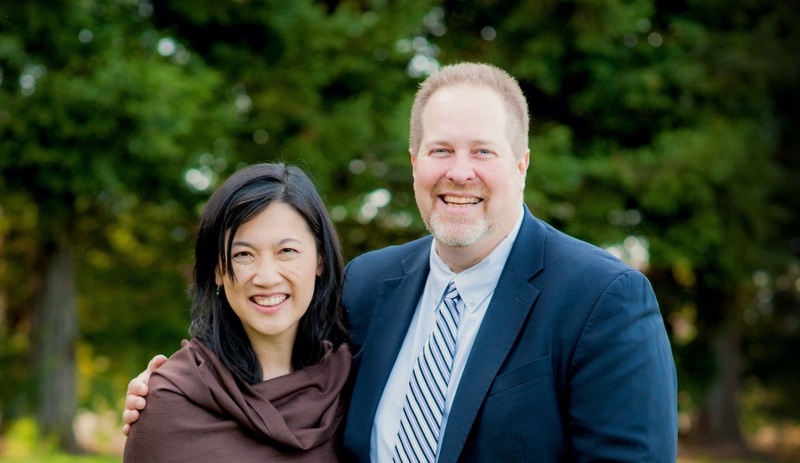 Judy and Lee were beloved members of the Seattle community and truly inspiring people. Judy grew up in Salt Lake City, Utah, attended Columbia University where she earned a B.A. in Political Science and joined Citibank where she worked for eight years. Judy earned her MBA from the University of Michigan and joined Microsoft in 1996. Known for her kindness, passionate commitment to work and thorough preparation of every detail, Judy led a number of key product planning and product development roles at Microsoft and was a Principal Program Manager in Visio at the time of her death. Lee, a native of Texas, attended Trinity University and earned a Masters in Information and Library Sciences at the University of North Carolina. The couple met in New York and re-located to Seattle in 1996. Lee started as Microsoft’s first archivist and moved to Microsoft Research where he was a Director of Portfolio Strategy travelling the globe, establishing key relationships for the company with universities and research institutions. Lee was also involved in education and development issues, serving on the boards of the University of Washington’s Libraries’ Council of Advocates and the Washington Preservation Initiative. Lee’s intellect, passion for life and infectious enthusiasm made him friends wherever he went. For Judy and Lee both, family and friends came first. Both will be remembered as amazing parents to their two daughters, Esmé (6) and Lila (4). Always ready to lend a hand, give a hug, talk trash about Carolina basketball, discuss their latest camping adventure, the secret to making Texas barbecue or how to organize just about anything – Judy and Lee will be deeply missed by family, friends and colleagues alike who had the privilege of knowing and loving them. Memorial details will be posted early next week. In lieu of flowers, a scholarship fund for the girls’ education is being established. For more information on either the service or the fund, please contact Andy Carothers, andycar@gmail.com or Trinh Vo Yetzer, trinh_vo_yetzer@hotmail.com. Lee and Judy, your lives have inspired and informed so many people everywhere. Although I never met Judy or Esme and Lila, I feel I got to know you through the pride and wide smiles Lee showed whenever he talked about you at dinners or at breaks in the action during a BB game; and of course via his Facebook posts. Lee, you were passionate in your advocacy for data curation and stewardship of the scholarly record, and your vision and creativity have inspired the i-School community you championed so vigorously. I will truly miss your wisdom, energy, and sense of humor at the SILS Board of Visitors meetings. It was so much fun to be with you watching Carolina basketball–whether in Seattle or Chapel Hill, your spirt and enthusiasm were unparalleled and you showed the same energy in all aspects of your professional and personal life. The world is a better place because of you, and I know that you would want us to redouble our efforts to work and play and love with every fiber of our beings. I miss you and Judy and your loss reminds us to count the blessings of life and give an extra hug to those we love. It was not my privilege to have known Judy, or to have met their children, but I had a number of professional interactions with Lee, and was always engaged by his energy, his smile, his optimism, and earnest hard work in the service of the academic computing community. Clearly both Lee and Judy had profound impacts on the professional communities they served (and led). That their children have been deprived of the love and attention of such extraordinary people is an unspeakable tragedy. No words can convey the ache that such a loss engenders in so very many hearts. I spent a summer with Judy in Shanghai and Hong Kong working at Whirlpool Asia, a project arranged by the Michigan business school. Everyone loved Judy. She was charismatic and smart. You trusted her judgement. Judy was a great diplomat for the school and America. The staff around us were a group of young, ambitious, and gentle Chinese men and women who ended up being our good friends, confidants and companions. They trusted us, and Judy was the hub around which we all operated. You knew she was something special. She was a beautiful person. You just had to like her. I am so sorry. I live in the neighborhood and know some of the families here although I didn’t know Lee or Judy. I am very sad to hear this shocking news. I’m writing here to let the families know that I am a child development specialist and a child therapist and I have worked with many children over the years, several of whom lost their parents suddenly. I would be happy to consult with you about the children; how to help them through the next months and what they will need emotionally to cope with the sudden loss of their parents over time. I can be reached at niktrumbo@comcast.net if you’d like to get in touch. The Puget Sound Carolina Club is devastated to hear that its longtime members, Lee and Judy, have tragically passed away. We’ve enjoyed your fellowship over the years and will miss you at future PSCC events. Lee, a 1996 MILS graduate of UNC, was an accomplished and beloved member of the Carolina family, and his enthusiastic cheering and comraderie at Tar Heel games will be sorely missed. Your family is in our thoughts and prayers. Judy was a stalwart member of the Office team and led a number of initiatives through challenging circumstances. Her peaceful direct style contributed to ensuring that the large team of other leaders in the Office product group had a framework to build upon. I felt Judy had a respect for others that was sometimes lost in the hustle and bustle at Microsoft, and she always extended that respect to everyone she encountered. May her girls grow with that same spirit of can-do attitude combined with genuine love and consideration for others around them. I remember (it seems like just the other day) when Judy had each of her girls, and how happy she was at starting her family and being a mom. Girls, when you are able to read this growing up, know that your mom was a very kind and very strong woman who loved you deeply and was thrilled to be your mother. I commit to pray for you girls as you grow and that you are blessed through your lives. So many kind words here. It’s many ways it has taken me days to process what has happened and I wanted to share a story having just met Lee in Lafayette Louisiana back in late May as a conference member for the National Science Foundation’s Center for Visual and Decision Informatics, which Lee as a supporter of. I arrived to the Lafayette Airport to find I had no luggage, and no suit to attend that evening’s social gathering. So I waited for hours for my luggage to arrive so I could at least where a jacket and a tie to the gathering. Finally, with luggage arriving, I quickly changed and got to the last hour of the gathering, and upon entering, very frazzled, I met Lee, who was dressed in a nice Hawaiian-type of shirt and jeans. As I shared my lost-luggage story, we laughed, and Lee teased me about just coming to the gathering as I was when I arrived in sneakers and jeans. Needless to say, I felt instantly at ease with Lee and at the gathering. Meeting Lee first really put me at ease. Next day, first day of the conference, I grabbed a spot at the rear of the large conference room and sat down, opened up a can of soda, which then sprayed all over me and my lap top. Out comes a hand to my immediate left with a napkin and with a quote “Man, that really stinks, here let me help you!” Yes, it was Lee AGAIN! Almost like a big brother or guardian on the spot! From there we sat together for the next 2 days of the conference learning we had the same enthusiasms for technology, how we knew some of the same people in certain fields of Information Technology, shared stories, and I even got some sage advice on where to find original Cajun food that was worth the trek to go find in Lafayette. I was really glad to have met and made a new friend that fast in Lee, and I had looked forward to engaging with Lee on the work we were there in support of as industry members of the conference.. Sadly, I will not get that opportunity. Yet I hope that someone in Lee’s group at MS picks up the torch to continue the collaboration with the Center for Visual and Decision Informatics. I think Lee would have wanted it that way! Lee and I had the “yuan” (缘) to be in the same mentor ring this past year, with a small group of mentees who have inspired me more than what I could contribute. Little did I know that our yuan would end so quickly and so drastically sadly. I pray that God will give each family member the courage to heal. Remember to kiss your family good night before you go to bed each day. I never had the pleasure of meeting Lee or Judy but as a fellow Carolina grad I would like to extend my deepest sympathies to their friends and family. I’ll be rooting for the Tarheels basketball team this season and will throw in a few extra cheers on behalf of our lost UNC family members. Judy, you were so sweet and so genuine; knowing you has left an impression on my heart. My prayers to your little angels. It is with great sadness that we learned about the tragic deaths of Lee Dirks of Microsoft Research, and his wife Judy, who died in a car accident in Peru at the end of August. The loss of Lee means the loss of a strong and committed voice in the scholarly communications arena. A pertinent commentator on the upcoming challenges faced by libraries and repositories; Lee was also an early supporter of COAR and contributed substantially to the international network. We have lost a great person and a wonderful and enthousiastic friend and colleague. The COAR offers its deepest sympathies to the Dirks family. We will miss him. I just read about Lee’s death in my Carolina SILS alumni newsletter. Lee was one year behind me in the master’s program there, and I remember some good interactions with him at Carolina and at a few ALA conferences in the years immediately following. Unfortunately, we didn’t keep in touch after the early ’90s. Reading about his life here, I realize what an error it was for me not to try harder to stay in contact with him. I never met Judy, but she sounds like a person every bit as much worth knowing as Lee, and as the father of two young daughters, I see our family lives followed similar paths. I wish the best to Lee’s children, extended family, and close friends. 3gs! Just wanted to say I love reading through your blog and loook forward to all your posts! Carry oon the fantastic work! waiting for your further write uups thanks onhe again.